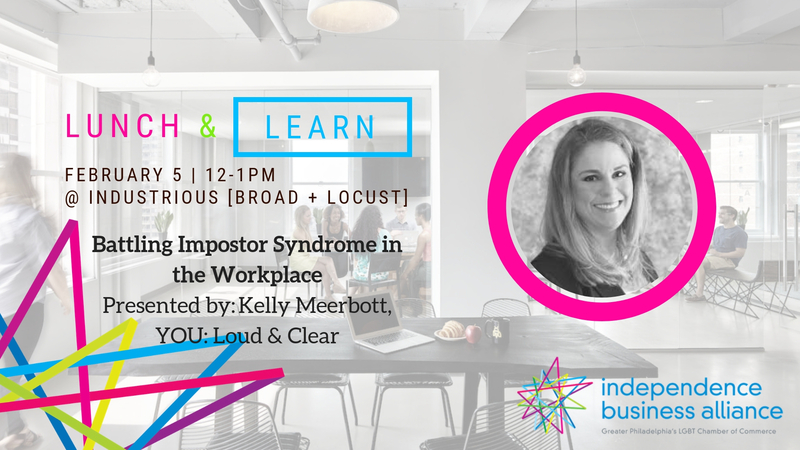 Kelly Meerbott, Leadership Coach will present “Battling Impostor Syndrome in the Workplace,” on Tuesday, February 5, at 12:00 pm- 1:00 pm, Eastern Time. In this seminar, you will discover what impostor syndrome is, how people fall into it, and what strategies can combat or prevent it. KELLY MEERBOTT is a respected thought leader, author, facilitator, speaker and leadership coach to successful corporate executives. When working with members of the C-suite, she has found that no matter how experienced these men and women are running their businesses, everyone still has obstacles (real or perceived) that can prevent them from fully executing their vision. Kelly expertly guides her clients through a unique, personalized change management process. Her customized approach has demonstrated measurable results; improving company morale and productivity, streamlining communications processes and eliminating politics, all while maintaining a focus on increasing profitability. Meerbott is a guest columnist for the Philadelphia Business Journal & Forbes. She is the host of the “Hidden Human: The Stories Behind the Business Leader” podcast and a featured speaker for Philly Tech in Color & the PA Conference for Women. Kelly has been showcased on Inside Business, A Band of Wives, MilitaryOneClick.com, and HearSay with Cathy Lewis. Recognized as one of Linkedin’s top recommended professionals, she is a contributing expert on Evisors.com and Noomii.com. This year she was named 2018's best person to get your life and business together by Philly Current Magazine. Kelly earned a B.A. in English literature from the College of the Holy Cross in Worcester, MA and has completed post-graduate work in emotional intelligence from Case Western Reserve University, modern psychology from Princeton University, and leadership development from the University of Pennsylvania. In her spare time, she is creating an innovative Virtual Reality leadership development curriculum. Who should attend: anyone interested in learning about Imposter Syndrome, especially those new managers, new information workers, information workers transitioning to new role, solo librarians, new or emerging leaders, and mentors. This seminar addresses emotional intelligence, one Kelly Meerbott's foundational leadership competencies.